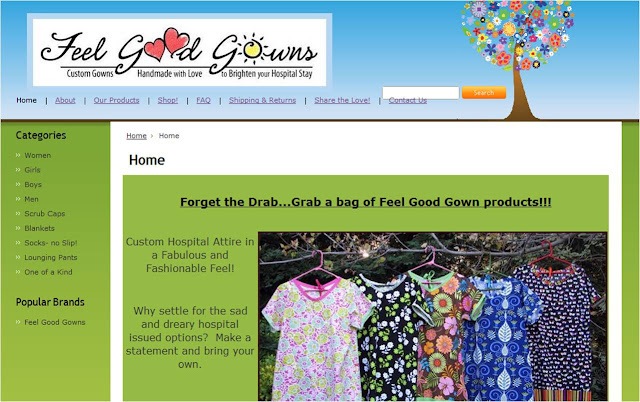 My friend Shalon, a member of AVMSurvivors.org, has started a side business called Feel Good Gowns that sells custom made hospital gowns. Instead of the drab, impersonal gowns the hospital gives you, now you can have a bright, cheerful gown of your own. Feel Good Gowns are perfect for people who have to go back to the doctor a lot. I already purchased one for a friend of mine who is undergoing treatment and she absolutely loved it. Check out Feel Good Gowns and I hope you make a purchase.